We all feel pretty crappy in the morning, stumbling our way to work after a night fretting about losing our job and whether global warming will kill us all and whether that workmate remembers that thing we said five years ago which… Oh just us then? 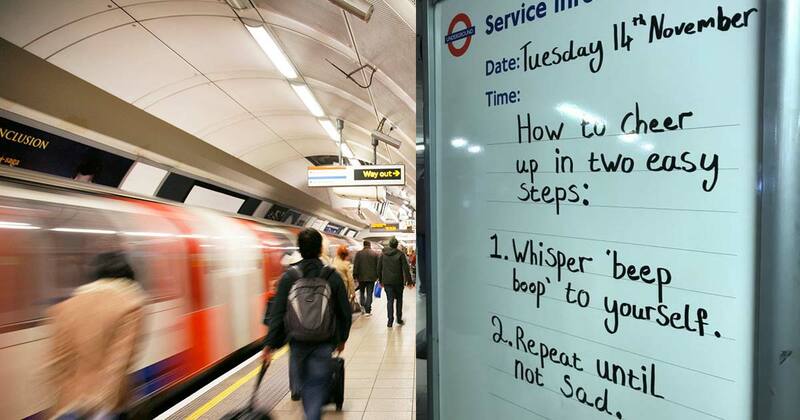 But if you are like us then London Underground has a way to cheer you up -as posted on Reddit by 7ddnmo – give it a go and report back to us. 1. 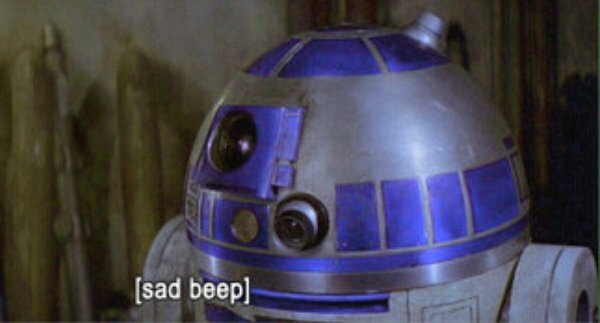 Whisper “beep beep” to yourself. 2. Repeat until not sad. 1. Whisper “Lancashire hot-pot” to yourself. 2. Repeat until happy. 1. Whisper “wheel rim” to yourself. 2. Repeat until the sadness leaves. 1. Mouth “bag of cement” to yourself. 2. Repeat until not sad. 1. Mumble “Wayne Hussey” to yourself. 2. Repeat until the happiness starts. 1. Whisper “tin of tuna” to yourself. 2. Repeat until your spirits lift. 1. Say “Terry Nutkins” to yourself. 2. Repeat until the darkness fades. We’ll we’re a bit happier anyway. Your mileage may vary.